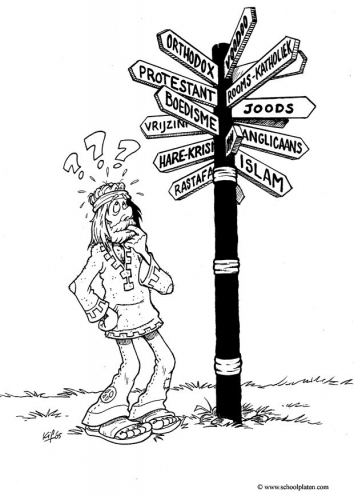 Don’t All Paths Lead to God? Considering that people who suggest this ideology expect a God who is loving and completely good, and that these people honestly don’t want anyone to suffer for eternity, then sentiments like this one, that all religions lead to God, are easily understood. Who wouldn’t want everyone to be spared from an eternity in hell? If Hell is worse than the most painful, brutal suffering of this life extended for eternity, kind and compassionate people probably would have some grace to spare, even for Hitler. The thought goes that so would an all-loving, good God. If the question being asked revolves more around Hell and the love of God, then please look for other blog posts and articles. This post will focus more on the plausibility that all paths are equally true and valid paths to the divine or ultimate reality, whatever that may be. What do the different paths say about the nature of God? Hinduism essentially teaches that everything in the universe is divine. Everything consists of the same divine, imperishable source, or energy, known as Brahmin. This source is essentially impersonal, yet it is the make-up of all things in this life – water, air, earth, flesh, and etc. Buddhism according to the traditional teaching of the Buddha is considered an atheistic religion with no divine being or source. Everything, just, is, yet is always undergoing change. Judaism teaches that the Lord revealed in the Tanakh (the Christian Old Testament) is the one true God. Christianity teaches that the Lord revealed in the Old Testament is Lord, yet the New Testament reveals God through the person of Jesus Christ. The Old Testament reveals God to be one in essence but three in person, yet this teaching isn’t fully revealed until the incarnation (the taking on of flesh) of the second person of the Trinity, Jesus Christ. Islam accepts the teachings of both the Old and New Testament according the Quran, however, most Muslims will say that these written words from Allah have been distorted and changed. Muslims claim that Jesus was not divine, that he was not the Son of God, that Jesus was a prophet and only a prophet. At the same time, Muslims reject the doctrine of the Trinity. Do they all lead to the same mountain peak? These are just a brief look at five of the world’s major religions’ teachings on the nature of God. Based on the law of logic known as the law of non-contradiction, two statements that directly contradict each other cannot both equally be true. They both can be false, but both statements cannot be true. To put this into an equation, A cannot equal Non-A. To plug in two of the teachings just mentioned into this equation, we see that, Jesus is God incarnate (Christianity) cannot equal Jesus Christ is not God incarnate (Islam). From this example it must be concluded that both of these statements cannot be true statements. However, both statements could be false.